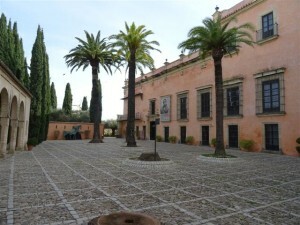 In just over a weeks time the twenty-first Festival de Jerez will begin. I have my flight tickets at the ready and our flat will be full of friends. There has already been much discussion about the Programme. Who is appearing? What shall we go to see? Last year there was a preponderance of guitarists, often fusing flamenco with more recent musical types, like jazz. This year it seems that there are fewer of them (shame) but there is still the Toca Toque cycle of concerts ( toque is flamenco guitar technique ). We will be going to more than one. Today’s flamenco guitar differs from its classical counterpart in a number of ways. 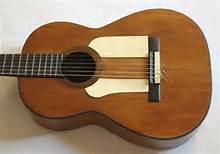 It is lighter in construction and has less internal bracing, often having a tap plate or golpeador to protect the wood from the rapping fingers of the guitarist. Its sound is drier, less sustaining of notes than the lusher, classical variety. The rapid cascade of flamenco notes often sounds muddy when played on a classical guitar, because of its greater resonance. A flamenco guitar has a punchier, more percussive sound and is held, and played, differently to a classical guitar. Here I have to confess that I play neither. Historically, however, they are both chordophones, a family of stringed instruments which includes everything from a balalaika to a tambouras, via sitars and mandolins. Their antecedents are in mediaeval instruments like the lute, the round-backed gittern and the flat-backed vihuela. Lutes, or instruments like them, are found in antiquity, in ancient Mesopotamia and further east in Bactria and Gandhara. The Greeks had the kithara, and the Romans the pandura and the Arabs the oud. There is an example of modern oud playing below. The modern oud ( right) is constructed in a very similar way to modern lutes. It was the Berbers and Arabs who, in conquering the Iberian peninsular in the eight century, brought their oud with them to add to a local pandura based tradition. By the 11th century Al Andalus was a centre for production and the instruments spread into Provence, with its troubadours and then developed more widely into the lute ( though a similar instrument to the oud called the komuz entered Europe through the Balkans at about the same time ). The oud/lute can be seen in the illustrations to the Cantigas de Santa Maria of King Alfonso X in the 13th century ( see Heavenly Music ). This is the ancestor of the flat-backed vihuela. Also called the viola de mano and, as one would expect, played with the hand, like a lute or oud, the twelve stringed vihuela was also played with a bow and developed further into the viol. The hand played vihuela developed into the Renaissance and then the Baroque guitar. 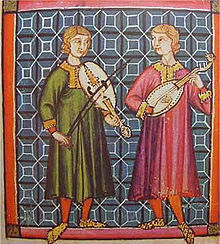 A similar round-backed chordophone instrument, the gittern ( in Spanish guitarra ) seems to have been around at roughly the same time as the oud and lute and is mentioned by Chaucer in his Canterbury Tales. The etymology of ‘Guitar’ is, as you might imagine, as complicated as tracing the development of the instrument itself. Its sound, however, is beautiful. I end this post with a short Youtube clip of Santiago Lara playing Granaina. This entry was posted in Culture Vulture, History and tagged History by juliej. Bookmark the permalink.